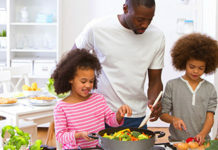 The kitchen is one of the most dangerous rooms in your house as it contains many hazards and a high potential for unintentional fires. Using a thermostat controlled fryer is a great way to prevent deep fry pans fires. 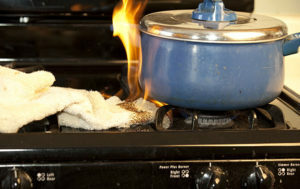 Avoid fat and grease build up on the stove or pans because fat and grease can easily catch fire. The oven and range must be cleaned often to prevent grease and food from catching fire. Be careful when you cook and keep pot handles away from the edge of the stove. Don’t wear long sleeves that can hang over the stove and catch fire. Always look on the oven when it is on and don’t forget to turn it off when not in use. Place flammable fabrics, such as towels, away from the gas or electric range. Be careful with flammable liquids such as cleaning materials. The most important safety rule for appliances is to use only appliances that have been tested and approved by a testing facility. Avoid overloading electrical outlets and check for worn or broken wiring on a regular basis. If you find defects be sure to make necessary repairs immediately. It is also very important to keep appliance cords on the counter to prevent them from, accidentally, being pulled down. 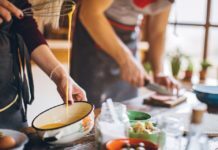 A very common mistake regarding microwave ovens is the wrong assumption that items, heated in the microwave oven, are not as hot as items heated in a regular oven or a mini oven. Keep in mind that even though the container does not heat, the content does. Be sure all the vents are cleared of obstructions and that the microwave oven has an adequate clearance for air circulation. Never place aluminum foil or other metals in a microwave oven. Jonathan Meyer is an editorial staff member of RestorationSOS™, a leading restoration services provider for water and fire damages. To learn more about water and fire damage restoration, visit http://restorationsos.com or call 1-877-767-2407.